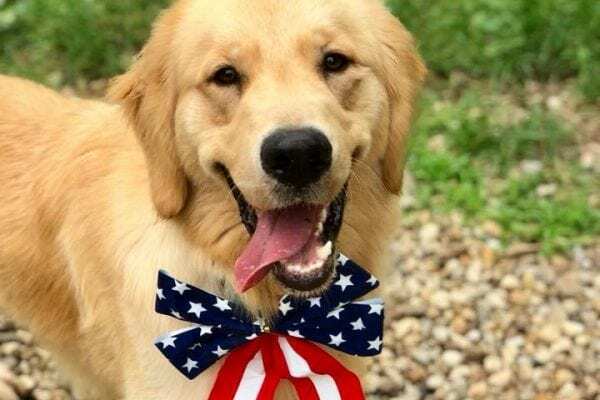 Lyme Disease - Yankee Golden Retriever Rescue, Inc.
affect the kidneys, heart, and nervous system. be carriers of the Lyme organism. In regions where winters are cold, it takes two years for ticks to mature, which is ideal for maintenance of infection. Tick larvae infected by feeding on rodents in the fall molt to nymphs the next spring, infecting the next generation of rodents and continuing the cycle. Ixodes ticks can produce up to 22,000 eggs in one egg clutch and may lay several clutches before they die. The tickʼs saliva has the ability to suppress the immune response of the host, allowing repeat feedings on the same host by many ticks. the host. The incubation period for the disease in naturally infected dogs is not known, but in laboratory dogs clinical signs develop from two to five months after exposure to infected ticks. become chronically infected and have incomplete resolution of signs or reoccurring disease. One of the most confusing issues in the diagnosis of Lyme disease has been the significance of testing. A test result showing antibodies against Borrelia burgdorferi is merely an indication of exposure to the spirochete and by itself does not confirm a diagnosis of Lyme disease. The tests most often used are the Snap 3DX (tests for Lyme, heartworm, and ehrlichiosis) and the Snap 4DX (tests for anaplasmosis in addition to the other three) made by Idexx Labs. These tests can be run in the veterinary hospital and do not need to be sent to a reference laboratory. The tests detect antibodies produced when live Borrelia burgdorferi interact with cells in the spleen of infected animals. Because of this, the test will be positive only if antibodies are present due to natural exposure and antibodies formed by vaccination for Lyme disease will not cause a positive test. This information was previously available only through the Western Blot test run by reference labs, which is time consuming and potentially difficult to interpret. Recently, a Lyme Quantitative C6 antibody test has become available from Idexx Reference Lab. The test measures the amount of antibody present to the C6 antigen. Veterinarians can use this test to help decide whether a positive dog needs treatment and to help monitor the response to therapy of treated dogs. 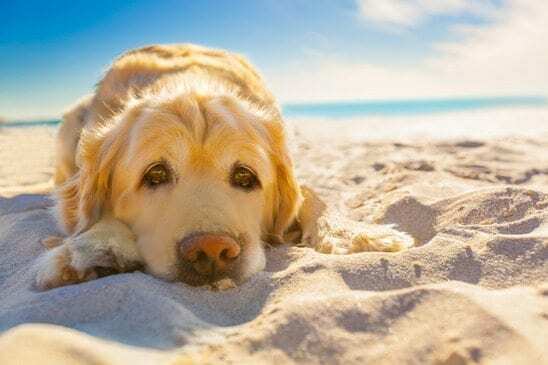 Another test recommended for dogs that test Lyme positive is a urinalysis and a urine protein determination (microalbumin or protein:creatinine ratio). These tests help veterinarians determine whether Lyme nephritis, a fatal form of Lyme disease affecting the kidney, is present. spirochete. Veterinarians must use their knowledge of Lyme disease and the tests available to determine which dogs need to be treated. Practicing tick prevention is one way to help protect your dog from Lyme disease. Keeping dogs out of tall grass, woods, etc. can help. Ticks wait on tall grass and leaves and can detect a dogʼs (or personʼs!) presence by smelling carbon dioxide or other odorants produced by the dog. When a dog (or other mammal) brushes against the vegetation where the tick is waiting, the tick transfers to the animal, grasping securely with claws on the end of its legs and finding a place to make a small incision and attach itself. Careful tick checks should be done every time a dog has been outside. Many products are available that can be used to control ticks on dogs. Discuss with your veterinarian which products are best for your dogs. 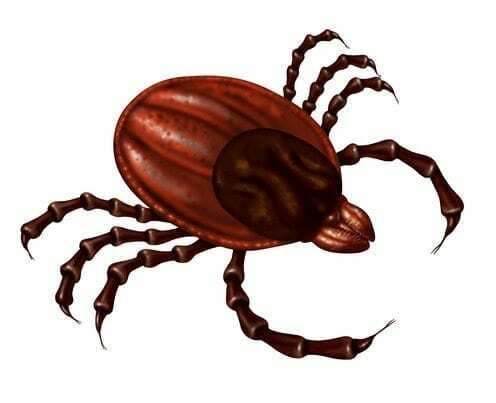 Due to the prevalence of tick-transmitted diseases in this area (Lyme, ehrlichiosis, anaplasmosis, Rocky Mountain Spotted Fever) it is recommended to practice tick control year round. Vaccination is another way to help protect your dog from Lyme disease. Your veterinarian can help you decide if Lyme vaccine is indicated for your dog. The Lyme vaccine has been shown to be safe even when given to dogs that have already been infected with Lyme disease. The first year a dog is vaccinated, they receive 2 vaccinations spaced 2-3 weeks apart followed by annual revaccinations. Even when dogs are vaccinated for Lyme Disease, it is still recommended to use tick control not only to give added protection against Lyme Disease, but to help protect against other tick borne diseases. Lyme disease can be a very serious health issue for your dog. 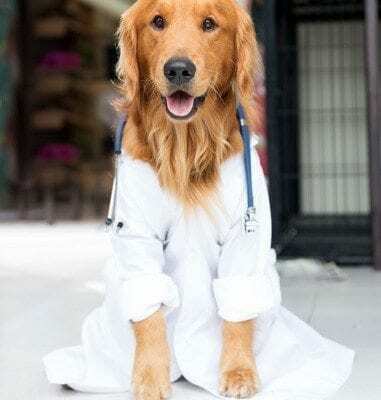 Discuss with your veterinarian the best ways to help prevent your dog from getting this disease.